"The only person to blame for me being here is me," he told judge. "Pharma Bro" Martin Shkreli was sentenced today to seven years in prison with credit for six months served. The sentence, which was less than half of what the government had asked for but more than the 18 months requested by the defense, came after Shkreli sobbed and begged a federal court in New York for "your honor's mercy." Shkreli, 34, apologized for his "disgraceful judgment" and dispensed with his prior criticisms of the court and his conviction. "The only person to blame for me being here is me," he said. "There is no government conspiracy to take down Martin Shkreli. I took down Martin Shkreli with my disgraceful and shameful actions." 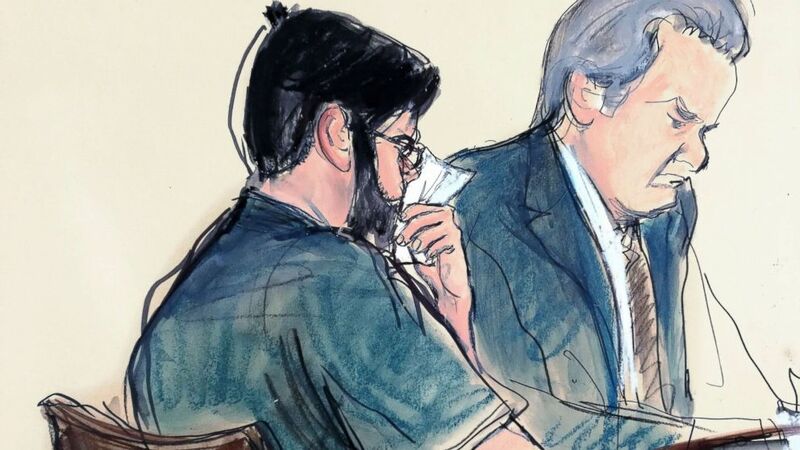 (Elizabeth Williams via AP) In this courtroom sketch former pharmaceutical CEO Martin Shkreli, left, is seated next to his lawyer Ben Brafman in federal court, March ,9, 2018 in New York. "Pharma Bro" vilified for jacking up the price of a lifesaving drug, was sentenced to seven years in prison for defrauding investors in two failed hedge funds. He was also ordered to pay a $75,000 fine and $7.3 million in forfeiture, according to a news release from U.S. Attorney Richard Donoghue. “For years, Shkreli told lie after lie in order to steal his investors’ money, manipulate the stock market and enrich himself,” Donoghue said in the release. “He will now pay the price for repeatedly violating the trust placed in him by his investors, his employees and the public." 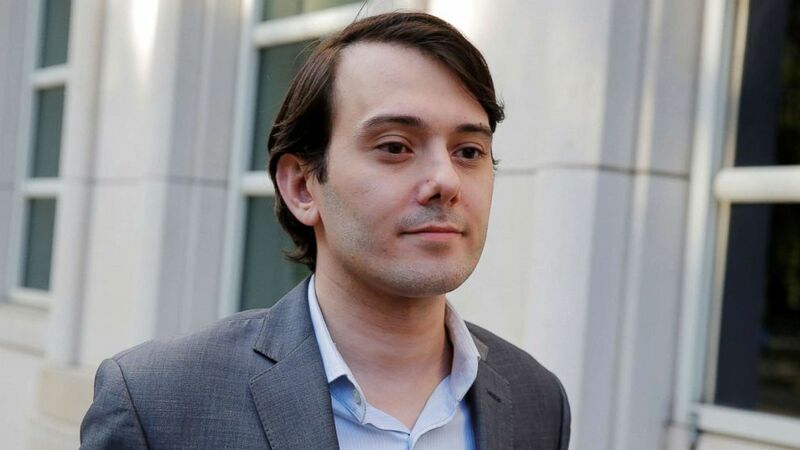 Shkreli, a former pharmaceuticals CEO who first became infamous for hiking the price of a lifesaving HIV drug, was convicted of securities fraud and had faced a sentence of up to 20 years in prison. 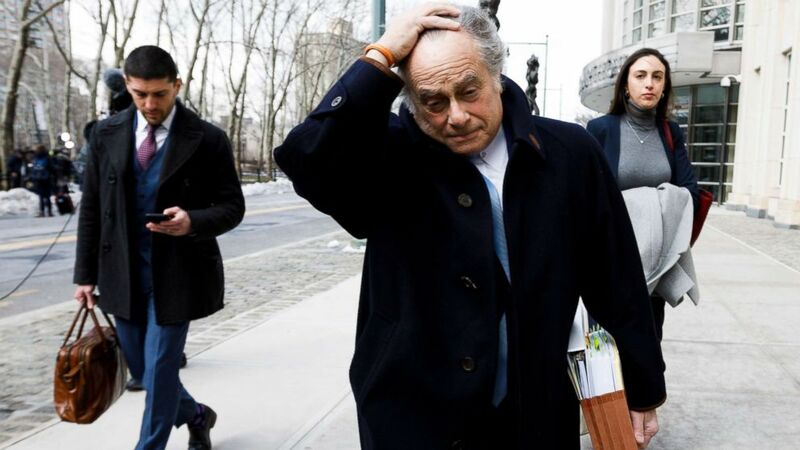 (Justin Lane/EPA via Shutterstock) Attorney Benjamin Brafman leaves a United States Courthouse after his client, former pharmaceutical executive Martin Shkreli, was sentenced to seven years in prison for securities fraud in New York, New York, March 9, 2018. His persona, cultivated online, before Congress and with the decision to hike the price of the drug Daraprim, led his own defense attorney Benjamin Brafman to concede, "there are times I want to punch him in the face" but the judge assured the court that the "Daraprim pricing is not an issue." Shkreli, despite his infamous antics, "is a good person" who "cannot always control awkward, inappropriate behaviors," the defense insisted. But prosecutors said that plainly Shkreli "stole money for his own benefit," calling it "absurd" to cast him as some misunderstood child genius. "He's a man," the prosecutor said. "He's no better than any other fraudster." (Lucas Jackson/Reuters, FILE) Martin Shkreli, former chief executive officer of Turing Pharmaceuticals and KaloBios Pharmaceuticals Inc, departs after a hearing at U.S. Federal Court in Brooklyn, New York, June 26, 2017. Shkreli has been behind bars since September when a judge found he broke the terms of his bail by offering social media followers money for a hair sample from then-presidential candidate Hillary Clinton. Separately, Shkreli must forfeit nearly $7.4 million, a federal judge in Brooklyn, New York, ruled Monday, which could force him to give up a one-of-a-kind Wu-Tang Clan album.